Welcome 2019! Aren’t we so lucky to be here? This year let’s vow to be more educated, thoughtful, and intentional about our nutrition decisions. Let’s not jump on every bandwagon that rides on by. Let it pass and watch how your body (and sanity) thanks you. In saying that, I know I can’t stop you from trying some of the fad diets, so all I ask is that you go through the list of questions below. Each answer must be yes for it to be a potentially long term nutrition plan. 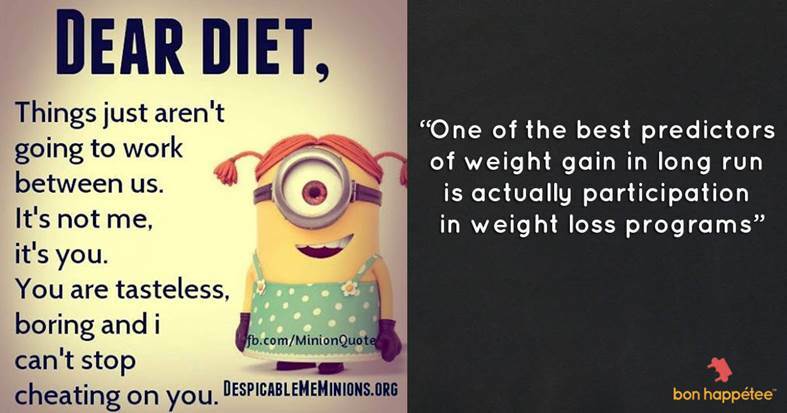 But just know the best bet is to seek the help of a Registered Dietitian for a personalized plan (hopefully one that includes body trust and a weight neutral approach). Is this plan scientifically healthy? 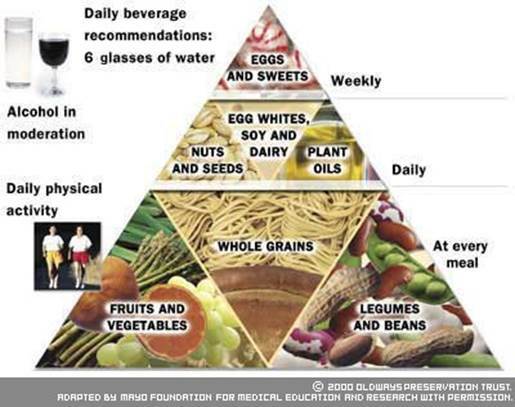 Is there evidence-based research to support the benefits of this diet? Can you do this plan for over 5 years? Does this plan include a reasonable balance and variety of ALL macronutrients (carbs, protein, fats,) plus plenty of fruits and vegetables? Does this plan include your current favorite foods? Will you be excited to eat these meals/snacks? Does this plan include body trust and honoring; eating when you’re hungry, stopping when you’re full, and mindful eating? Does this plan feel good in your body and give you plenty of energy for your lifestyle? Is this plan affordable and feasible for your lifestyle? Does this plan allow flexibility (eating out, traveling, sedentary or really active life, pregnancy, illness etc.)? Does this plan allow for regular exercise? Is it personalized? Does this plan make common freakin sense to YOU?? Nobody else. It’s got to sit well with you cause it’s you who’s living this life. 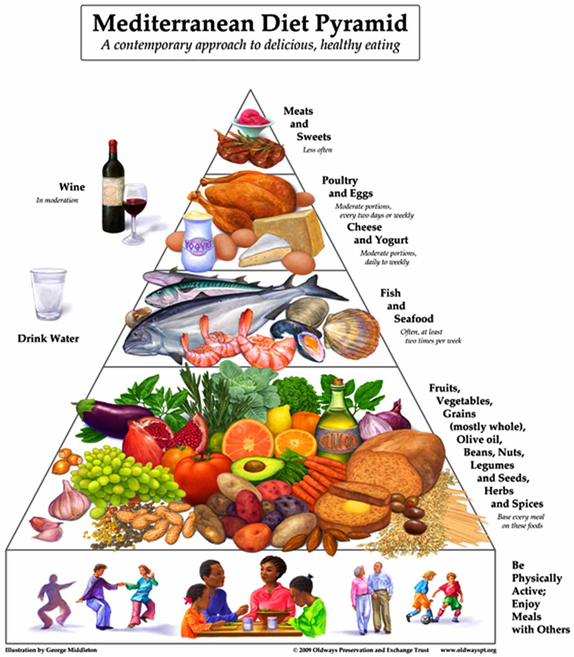 Many of these diets below aren’t a good long-term solution. So they are already out of the running. For lasting results, your best bet is to eat a healthy diet based on fruits and vegetables, whole grains, and lean sources of protein (much like the Mediterranean or DASH plan). It’s a simple and boring answer, but it’s that way for financial investing, right? So do this with your food. Playing the long game is your best bet. I promise. But hey, if you want chaotic eating and living– fad diet away! This is one of the healthiest diets out there. What makes this “diet” so reasonable is that it’s a lifestyle, not a traditional weight-loss plan that has you counting calories or measuring portions. It’s all about enjoying meals with friends and loved ones, savoring each flavor, indulging in delicious, quality items like flavorful cheeses and desserts, and making time for plenty of physical activity (ah, to be walking on the beaches of Greece right now!). There are clear benefits of the Mediterranean Diet. You’ll fill up on tons of veggies, fruit, 100% whole grains, pulses (like beans, chickpeas, peas, and lentils); choose lean protein like seafood, eggs, and reduced meat (hopefully grassfed); and savor sweets and higher-in-saturated-fat choices in smaller amounts. Your 1-Week Mediterranean Meal Plan ideas. While there’s no “restriction” on this plan, the predominant foods in it promote both health and weight loss or management. The idea is to fill up on nutritious items in order to indulge, consciously. This approach naturally limits the amount of ultra-processed foods you’ll eat, which tend to have more sodium, saturated fat, and added sugar. Since the Mediterranean eating style prioritizes enjoyment of your whole dining experience, flavorful ingredients are at the forefront, so it’s unlikely you will feel deprived. It’s weird to me to call a vegetarian diet a “fad” diet, as there are so many reasons (more than health) for going vegetarian, including environmental and ethical considerations. Me being a vegetarian, I have to be mindful of personal bias. BUT, science does show this diet is healthier. When strategically planned, a vegetarian diet is a nourishing and anti-inflammatory way to eat because it is rich in plant foods and low in saturated fat. In a meta-analysis published in November 2017 in the journal Critical Reviews in Food Science and Nutrition, a vegetarian diet was associated with a 25 percent lower risk of heart disease and 8 percent reduced odds of cancer. Please be very aware though if you have a personal history of eating disorders – you may want to bypass this approach. A study published in August 2012 in the Journal of the Academy of Nutrition and Dietetics noted that some people use a vegetarian diet to legitimize food restriction to aid with weight loss. There can be many perks to going veg, but play it safe and ask yourself where your motivations lie before making this choice. Where a vegetarian avoids meat, a flexitarian diet allows you to add small amounts of animal products, like meat, poultry, or fish, for additional protein and satisfaction. 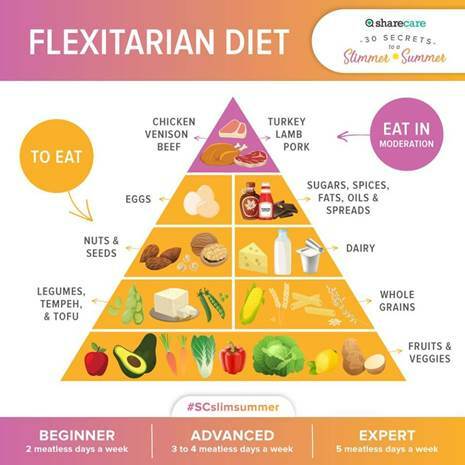 Flexitarian scores mega points for flexibility. Cutting down meat consumption is generally a positive. A review of 25 studies, published in December 2016 in the journal Frontiers in Nutrition, found that semi-vegetarian diets were associated with weight loss, lower blood pressure, and a reduced risk of type 2 diabetes. The authors concluded that though it’s a popular eating approach with women, men, too, can benefit, especially because guys generally consume more meat. This diet, which stands for “Dietary Approaches to Stop Hypertension,” can be both an overall healthier style of eating, much like the Mediterranean diet. It emphasizes produce of all types, seafood, 100% whole grains, low-fat dairy, nuts, and seeds. The predominant protein sources are poultry, pork, and seafood, with an emphasis on omega-3 filled fatty fish, like tuna, sardines, and salmon (which is mega important for inflammation). 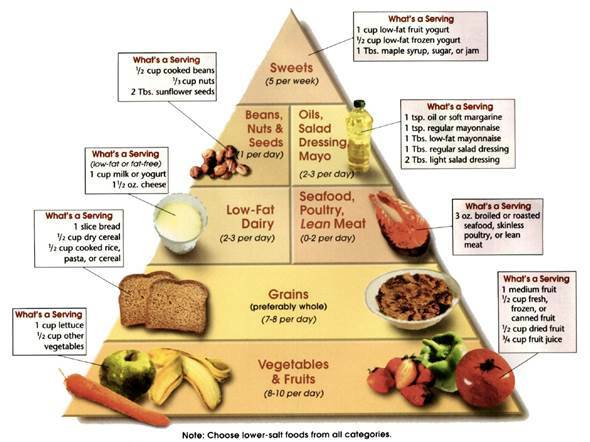 The DASH diet tells you what to eat without over-emphasizing any key nutrient. It’s high in potassium, magnesium, and calcium, which counterbalance the effects of sodium, promote better heart health, and help prevent hypertension (a.k.a. high blood pressure). 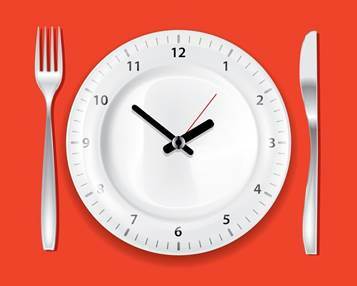 Intermittent fasting (or IF) involves extended periods of not eating, and there are several ways to approach it. For instance, some people fast for two days out of the week (called 5:2, which involves eating very little on fast days), while others set a specific eating window (like 16 hours fasting and 8 hours feeding). While this is a growing approach and there is some evidence that it can help people lose weight at least in the short term, per the Harvard T.H. Chan School of Public Health, it’s not right for everyone, and that’s why it lands somewhere in the middle. You really have to understand your needs and your schedule to know if it will work for you. The eating style has a very restrictive nature and could lead to overeating or binge eating, so it’s not a good fit for a person with a history of disordered eating. Also, if you have type 2 diabetes or are pregnant or lactating, IF is also not safe. Bottom Line: If you naturally (not forced) fast after dinner until your breakfast time, then ok, do it. 12-14 hours is about right. There is evidence that this may help your circadian rhythm and metabolism among other bodily functions. Autophagy occurs during fasting periods and deals with destruction of cells in the body. This is helpful. But seriously don’t do this if this pushes you into disordered eating (i.e. binge eating before or after fast, or restricting while you are hungry). Plus, when you go back to eating these foods, you may likely end up eating way more of it than you need or want, because there’s that rebellion eating that is so innate in us humans. Don’t you dare tell us what NOT to do. We will do it, and overboard most likely. This can often turn into a sort of ongoing restrict-binge cycle over time, where you limit certain foods and then end up overdoing it on those foods later, before going right back to restricting, or trying to be “good”. This is such a dangerous path to disordered eating thoughts and behaviors. Fusing the ever so popular paleo diet and taking some vegan principles, the “pegan” diet focuses on eating loads of fruits and vegetables, along with nuts and seeds, oils, no dairy or gluten, and limiting beans and grains. It’s not traditionally vegan where you eat no animal products of any kind, since it allows for a small amount of meat. So I actually don’t understand the rules even… However, these are all healthful foods and it’s likely that it will help you reduce your blood sugar and triglycerides. BUT, the fact remains that it’s still a restrictive diet with lots of rules, and most people struggle to maintain diets that contain a long list of off-limits foods. Those two factors put this on the don’t-approve list. Cleanses took many forms in 2018, from the Izo Cleanse from Kelly and Ryan, and the “teatoxing” promoted by Cardi B, so it’s only natural that we’ll see some more of this in 2019. And while none of these celebs are healthcare professionals, this breed of “cleanse” and “detox” mania fuels the fire of an already problematic diet culture. They publicize a myth that binging and restricting can make you happier and healthier, when in fact, it’s more accurately linked to obesity and depression, not to mention spending hard-earned money just to sit on the toilet. They’re not FDA-regulated, so we don’t really know what they are doing to your body over time. I get you. You want to lose weight FAST and EASY. Outside of all the eventual problems with this type of dieting, my major concern is what it does for you psychologically from the idea that you need “detoxing.” The more we see words like “cleanse” and “detox,” the more likely we are to believe there’s something beneficial, scientific, or “proven” about it (there isn’t) from both a physiological and mental well-being standpoint. Our liver and kidneys do the detoxing, and if they didn’t, we would be dead. Carnivore enthusiasts promote the life-changing benefits of their diet and lifestyle demands, which includes sole dependence on beef, water, and salt (plus bourbon, according to the diet’s guru, Mikhaila Petersen). The concern I have with this diet is that it isn’t just a “low” carb plan, it’s a completely exclusionary plan. There’s no way to survive on a meat-only diet without suffering some serious health problems: vitamin and mineral deficiencies that can result in bone loss, organ damage (and ultimately, organ failure), and unnecessary physical pain (your poor gut). To stay in the metabolic state known as ketosis, your diet can’t include more than 10% carbs and 20% protein. Eating dietary fat for 70% to 90% of your daily calories means cutting fiber-rich foods (fruits, veggies, legumes) and lean protein sources (fatty fish) – some of the most nutrient-dense choices on the planet. Like what?! When you severely restrict carbs, your body draws on glycogen for energy, meaning that you’ll drop water weight quickly during the first few weeks. This fact alone can encourage you to stick with it, but ultimately, if limiting most carbs and some protein is dramatically out of your comfort zone, then it’s crucial that you consider how you can achieve weight loss for the long haul. A too-low-carb diet can negatively impact everything from energy levels to hormones. And when you go off of this diet during the course of your lifespan, it’s also pretty likely that you’ll gain weight back (and then some), and that’s what I’m hoping to share with you by coming down hard on this trend — not because weight gain is “bad,” but because weight-cycling is physiologically and psychologically damaging. Diets that single out a food group or macronutrient make it that much harder to get out of the purgatory induced by today’s diet landscape. They become recipes for feelings of failure, fear, and self-doubt when we can’t “stick to the plan,” simply because the circumstances of our lives have changed! Alkaline water has a higher pH level than regular drinking water as it contains alkalising compounds, including calcium, silica, potassium, magnesium, and bicarbonate. Because of this, some people believe that alkaline water helps our bodies metabolize nutrients and expel toxins more efficiently than regular tap water, leading to better health and performance. Other people believe in the need for an alkaline diet to try to reduce the acidity of your blood, which they believe causes health problems. Normal drinking water generally has a neutral pH of 7. Alkaline water typically claims to have a pH of 8 or 9. Your body is usually perfectly capable of regulating pH itself, and there’s no need to tamper with this. pH varies significantly in different parts of the body – for example, the stomach is very acidic in order to help digest food, the intestines then neutralize this acidity when food and drink pass into them. It’s usually great to drink more water, but the pH of water will not have an impact on the pH of your blood, and you wouldn’t want it to! Your body is perfectly capable of keeping its blood within a very specific pH range (pH 7.35 to 7.45). If it failed to do so, you would become ill very quickly. Most people also have a perfectly healthy liver and kidneys to eliminate any toxins from your body themselves. This is actually really funny – when some alkaline waters have been tested with pH strips, the pH is in fact 7.0 (7.5 at a push). Don’t be duped! I hope by now you feel more educated, thoughtful, and intentional about the foods you wish to have in your life. If not, hit me up! I’m happy to have a nutrition counseling session with you to dive deeper. Good article. What I was told about Whole 30 is that it is not intended to be a “life time” diet (or even a specific weight loss diet, though many do lose some weight on it) – it is intended for those who may have sensitivities to food to be able to discover those sensitivities. With knowledge, there is power. After you know what does and does not agree with you, you can make informed choices. For example, I learned that I have problems with dairy. I have not stopped eating dairy entirely, but recognize that when I eat it, I will have a reaction (and, sadly, the supplements that are suppose to help with eating dairy do not seem to work for me, so it is either a yes-eat-and-react or no-avoid-and-do-not-react situation.) The “30” in the name tells you how long this particular attempt to figure out food is suppose to last: 30 days. This diet is, to me, for a specific purpose.